The global appetite for fixed income remains strong, driven by ongoing accommodation from central banks. 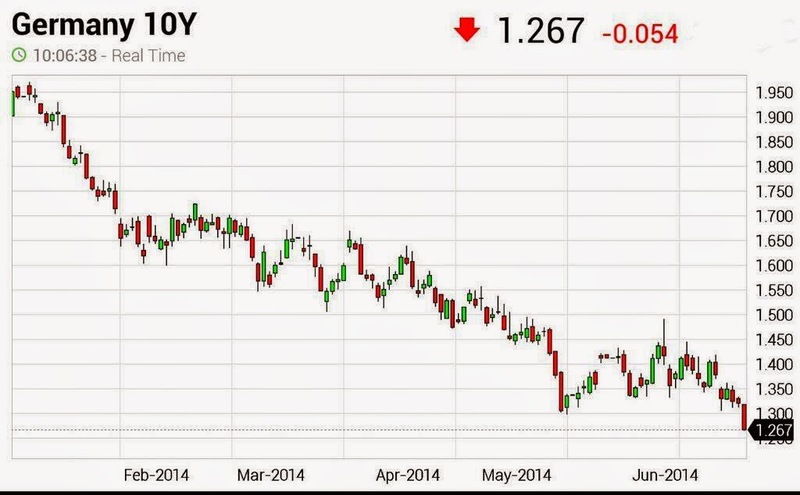 The 10-year Bund yield touched fresh lows for the year today. The situation is similar for shorter maturities. This yield compression is not limited to bonds. 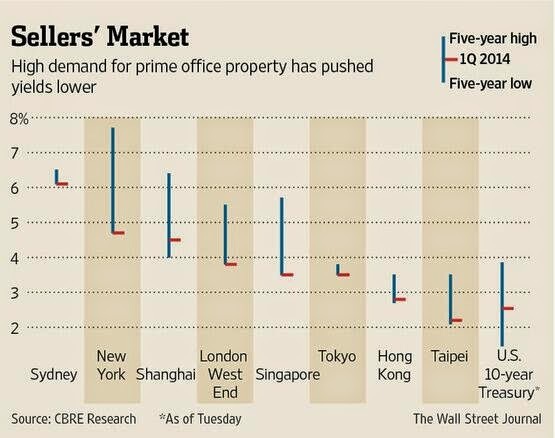 As an example, Asian commercial property yields are at new lows as well. For those who want some background on the meaning of "property yield", here is a good overview. 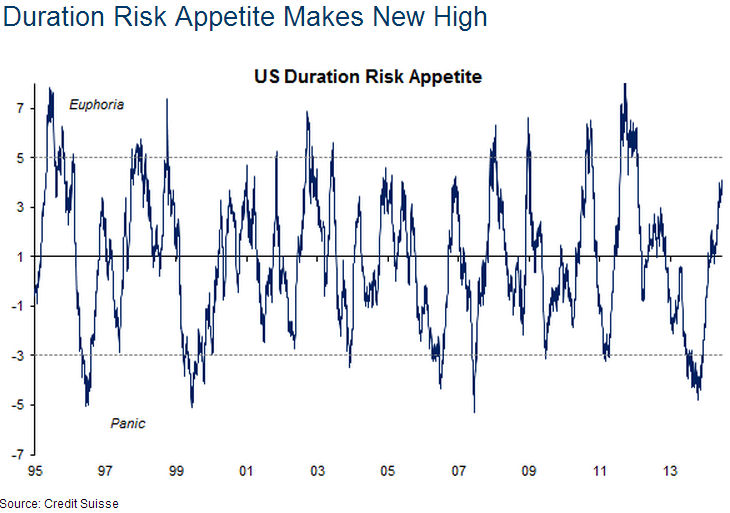 The Credit Suisse Duration Risk Appetite Index is once again headed for euphoria after being in panic territory just a year ago. The index measures investors' appreciate for being long fixed income product - as they shift from taper fears last summer to frenzied buying today. The longer the current environment persists, the more difficult it will be for central banks to begin rate normalization.